The annual National Pensioners’ Day 2018 which falls on every 08th October of the year that commemorates the pensioner community for the service and dedication rendered over three decades for the wellbeing of public service was celebrated grandly on provincial levels island wide representing all provinces. The Western Province Celebration, representing the nine provinces was held on 08.10.2018 under the patronage of Minister of Public Administration, Management and Law & Order, Hon. Ranjith Madduma Bandara and Kalutara District Coordinating Committee Co-Chairperson and MP, Hon. 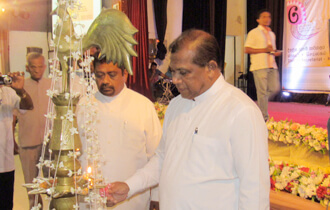 Lakshman Wijemanne at the auditorium of the Kaluthara District Secretariat. The event was beautified by the various items designed with the participation of the skillful senior citizens’ items and the prizes were awarded in order to appreciate their effort. 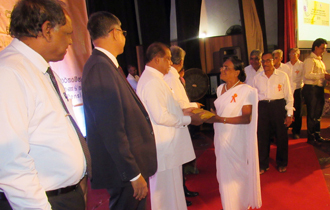 Felicitation the senior retired pensioners above 100 years of their age and unable to participate for the event due to the disability to walk, visiting to their residents on divisional secretariat levels parallel to the National Pensioners’ Day 2018 was a special event of the western province celebration. 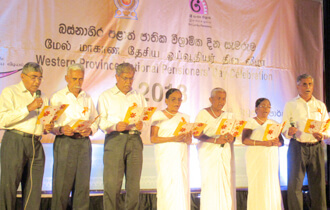 Government officials such as Director General of Pensions A.Jagath D.Dias , Kaluthara District Secretary, Additional Secretary of Home Affairs U.D.C.Jayaylal and senior citizens representing the Western Province participated for this celebration.